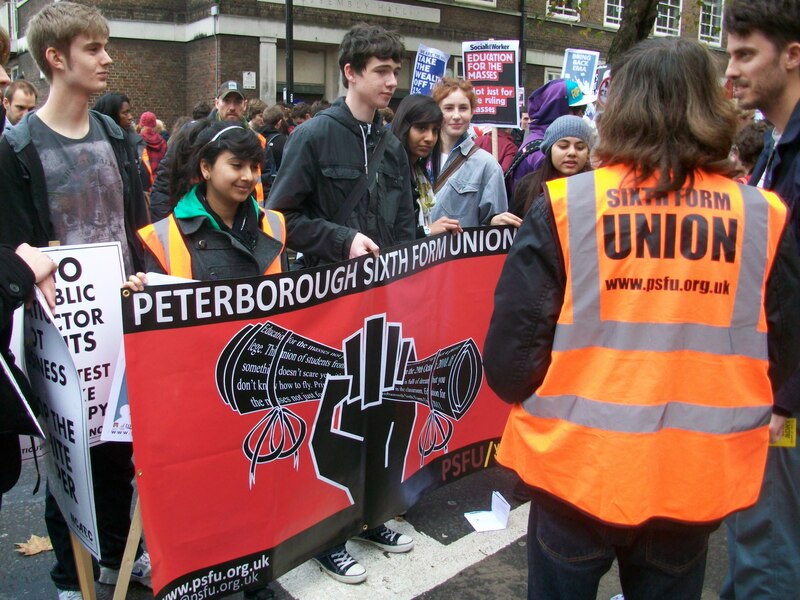 Sixth form students from Peterborough join the march. 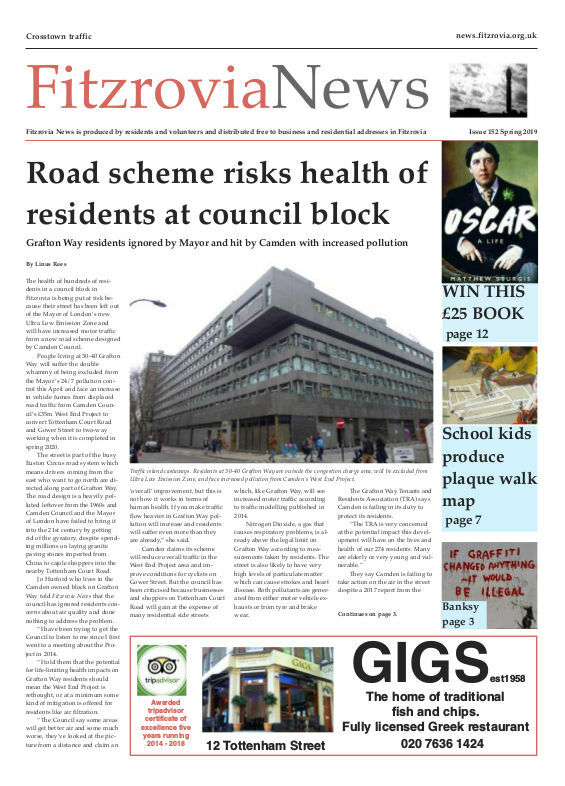 While several helicopters buzzed overhead a colourful carnival of students gathered in the streets around Malet Street this lunchtime ahead of today's demonstration against government cuts. 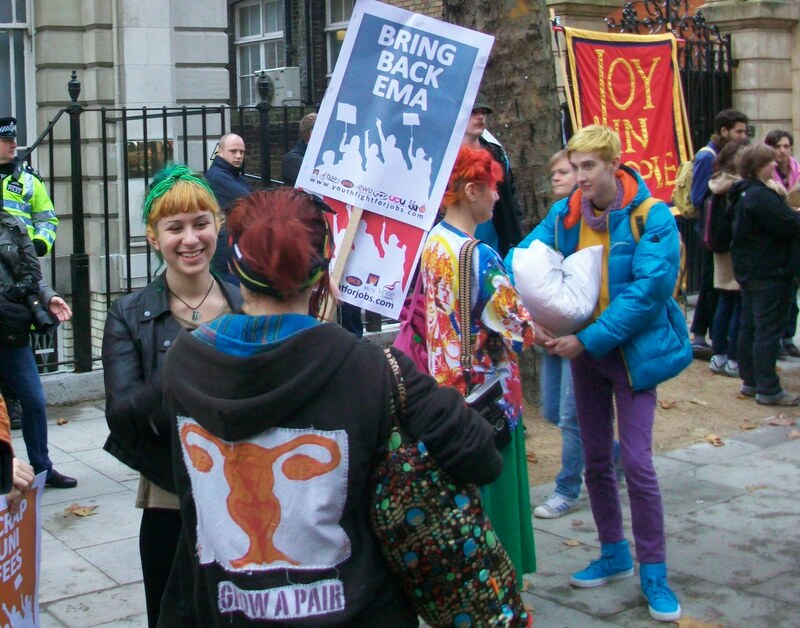 A large number of sixth form and secondary school students joined the older demonstrators on Bloomsbury's streets. Despite the well-publicised declaration that plastic bullets may be used by the police the atmosphere outside the University of London Union was relaxed and students happily chatted with police as they waited to start the march down Gower Street. 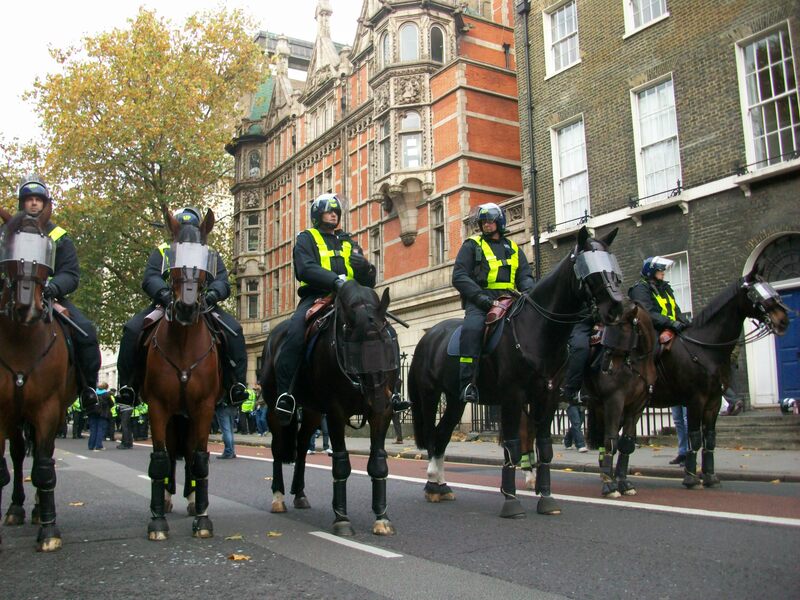 At the head of the march police on horseback spread out across Gower Street as if to pose for the media army that had descended. Film crews packed Byng Place with satellite dishes and photographers seemed to outnumber police. In Torrington Place in Fitzrovia two large coaches carrying police parked on the pavement. Side streets off Gower Street were lined with large numbers of police. 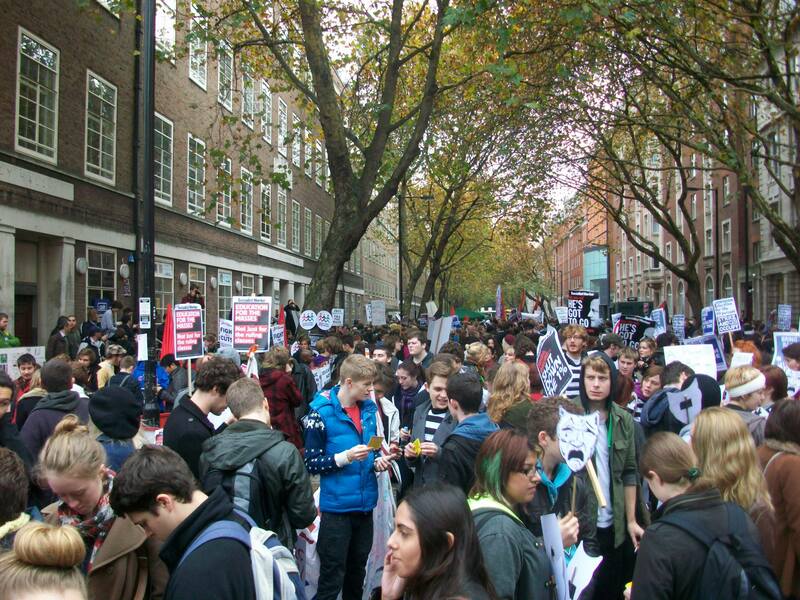 Thousands of students gather outside the University of London Union.